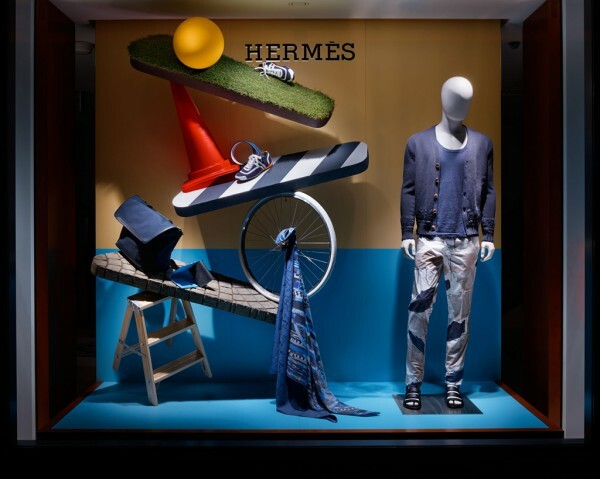 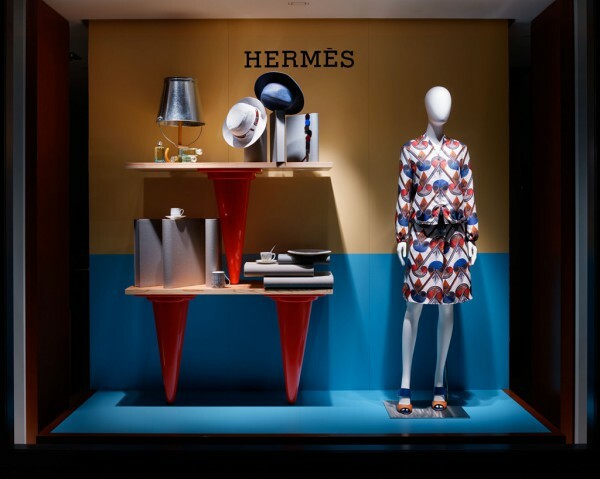 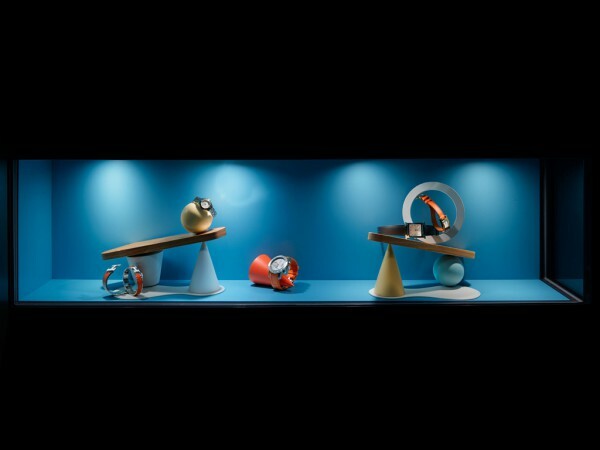 We created a window display to be deployed at seven locations nation-wide under Hermès' theme for the year 2015: Flânerie Forever. 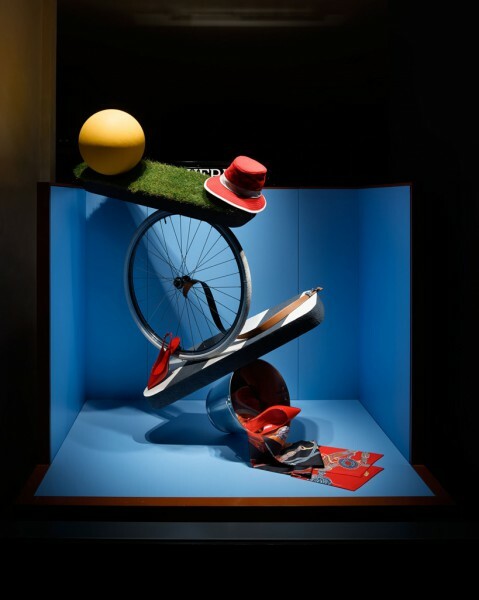 While looking up the French word Flânerie, which means "strolling," we learned that it also holds the essence for things that happen "haphazardly" as well as "making a collage," etc. 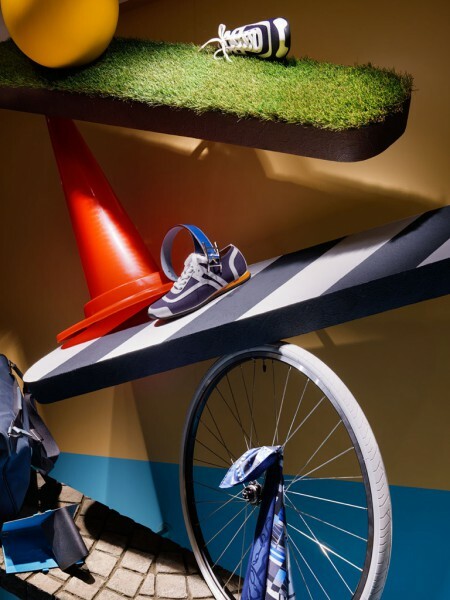 We sought to express this peculiar take on life that is Flânerie by making a collage of objects that can come upon by the roadside while casually strolling down the street, such as safety cones, manhole covers and bicycle wheels. 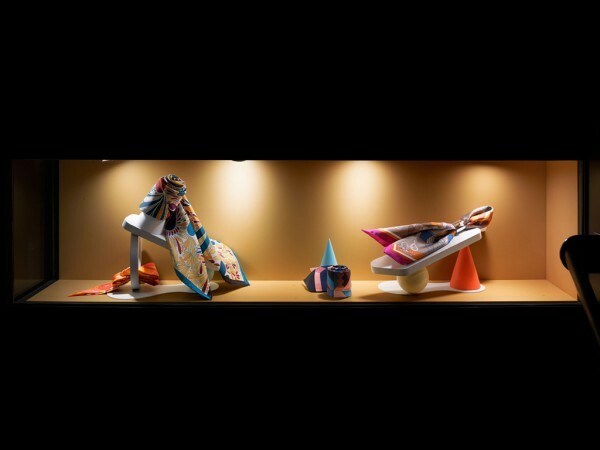 The collage features objects piled up to form a volume that brings together street fragments floating in mid-air. 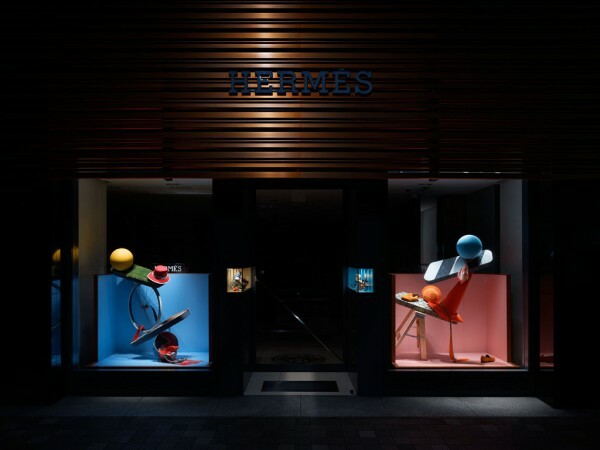 With the stage set by this whimsical construct of a street, the Flânerie may begin for colored balls tumbling down the roadside, and persons alike. 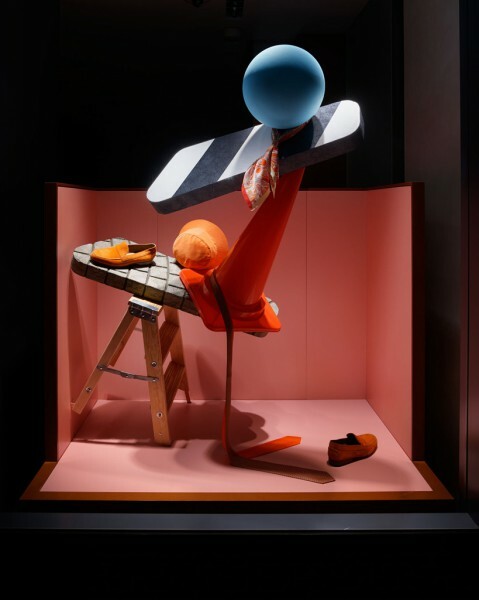 Also, one window dressing features a collage of a collection of such objects, which form part of a Flânerie-themed room interior. 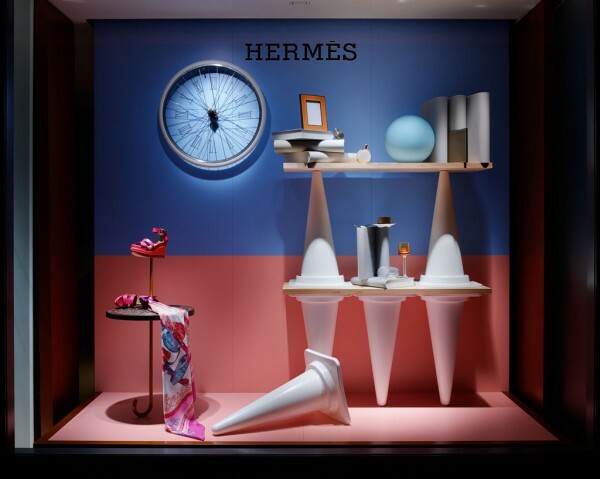 We sought to create a window display to feature not only selected products, but a wide variety of them by bringing about a world outlook evocative of the street environment regardless of what product is on display.